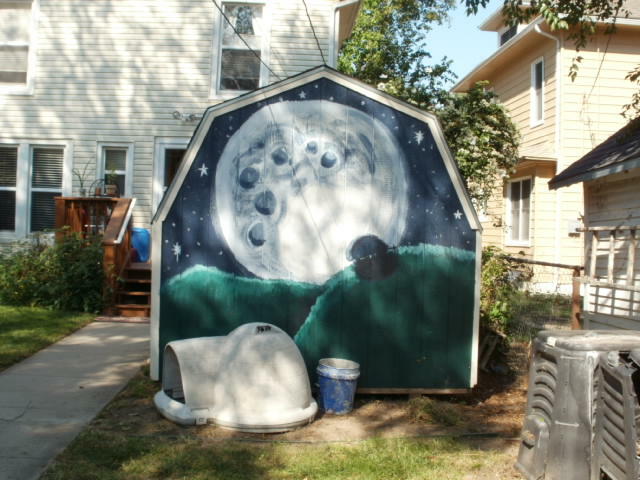 This shed was painted by its owner after seeing CHWC’s murals. CHWC has painted murals around the Waterway Park neighborhood to promote safer alleyways and healthier interactions. Residents who have been inspired by these murals have been motivated to paint on their own properties. What a beautiful find! Does Steve and Diosselyn know about this? You should send them this image. Did you find this on your own? Did you talk to this person that painted this?